If bloggers read this, please note, if you have an AR 15, you are not a “A well-regulated militia” by the United States of America as it states in our constitution. So, that means you should not have a weapon of war. Please, in the name of the victims of the most recent school shooting in Parkland, Florida, let us begin to do something to change the national insanity of gun deaths. Stop with the old lie — “guns don’t kill people, people kill people.” It is illogical, fallacious, wrong, and stupid. Guns are weapons and are designed to expel bullets that are intended to kill. That is their purpose. That is why they exist. Guns are not used to make paintings; they are not used to drive screws into wood; they are not made to make omelets; they are not created to write letters; and they are not aimed at making sculptures. Guns are made to kill. That is their purpose. Professor French, thank you so much for stating the correct reading in our Constitution. Thank you for informing individuals who have not read our Constitution, and now they know. Someone should inform the President, I believe he has problems reading, thinking, and allows the 30 million dollars given to him by NRA lobbyists to cloud what thoughts he does have. Thank you again! Karen, Thank you so very much. This information needs to be given to the public, and we must continue to follow the lead of the children. My pleasure and you are welcome. 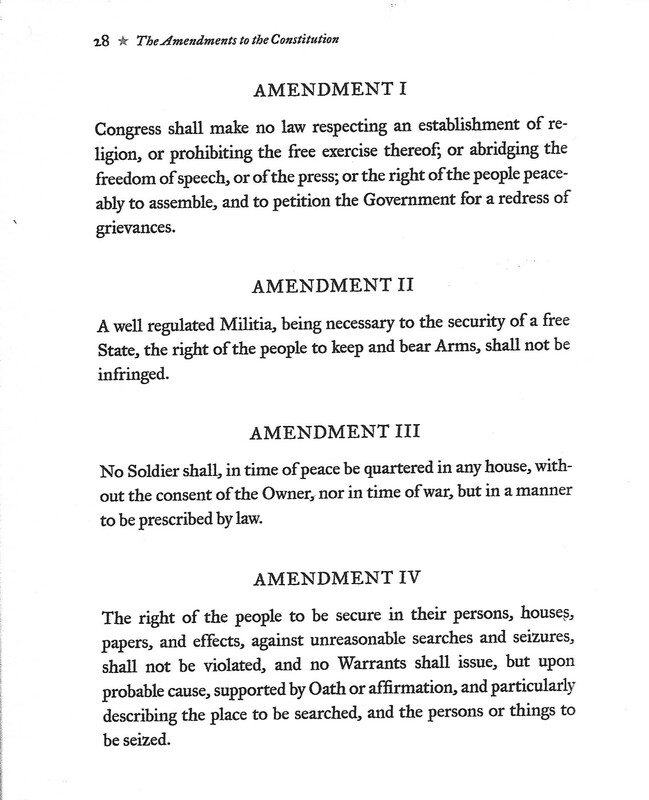 It is a necessary education for people who have not read the Constitution and for those who need to most of all – the people who own weapons of war. Thanks for sharing, Karen. I’m listening to the news this morning and Trump suggesting the answer is more guns. The US should feel ashamed for choosing over and over again not to protect its children. It makes me so sad that this tragedy seems to go on and on. Yes, D. I truly think that things will change. These kids are never giving up and more and more adults are joining in – finally!